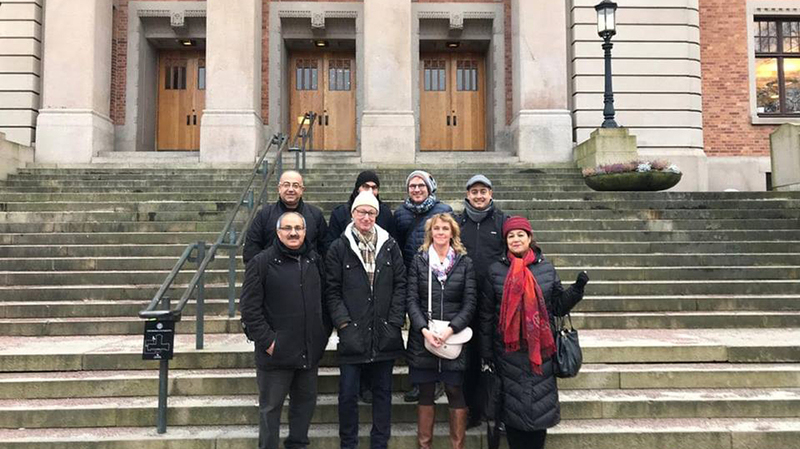 Dr. Amir Khalil, the external academic relations officer at Birzeit University, and Dr. Islah Jad, a professor of political science and a faculty member at the Institute of Women’s Studies, visited the University of Gothenburg in Sweden to discuss faculty and student exchange opportunities, as well as future joint research efforts, on January 10 and 11, 2019. The visit, which included professors from Hebron University, was made under the Comprehensive Cooperation for Research, Action, Teaching and Engagement in Conflicts of Mobility, Space and Heritage Studies (CREATE) project, which aims to establish network of international cooperation in research, education and community development between Birzeit University, Hebron University, and the University of Gothenburg. 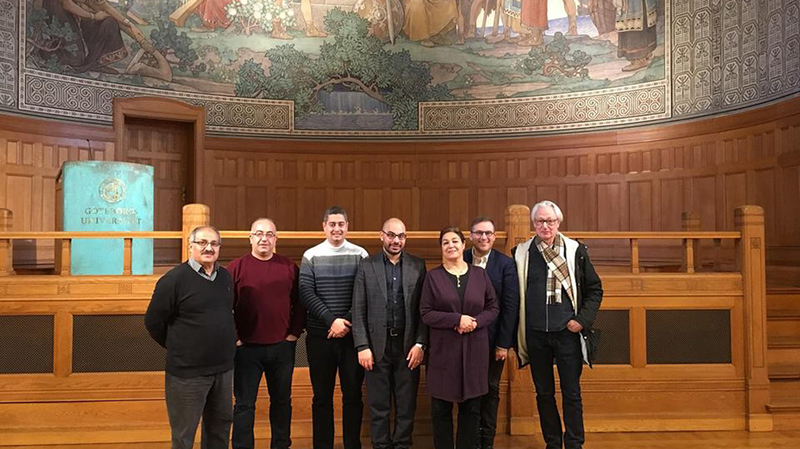 During their visit, Khalil and Jad met with a number of professors from the University of Gothenburg and gave presentations on the history of Birzeit University and its internationalization and International cooperation efforts. The team also met with Mattias Goksör, the university’s pro-vice-chancellor, and explored channels of academic and research cooperation, in addition to student and faculty exchange opportunities and tools, such as Linnaeus Palme — a Swedish exchange program — and Erasmus Plus. 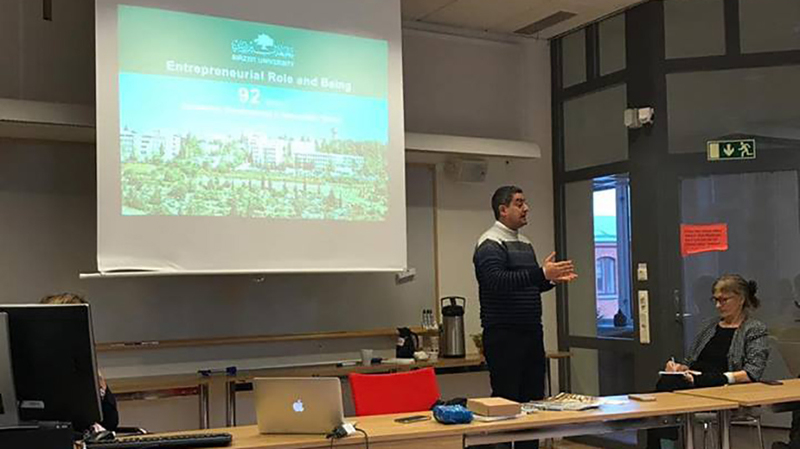 Khalil and Jad also met with the Palestinian House at the University of Gothenburg, during which they met with the Palestinian community there and discussed the challenges, and prospects, of education under the Israeli Occupation.